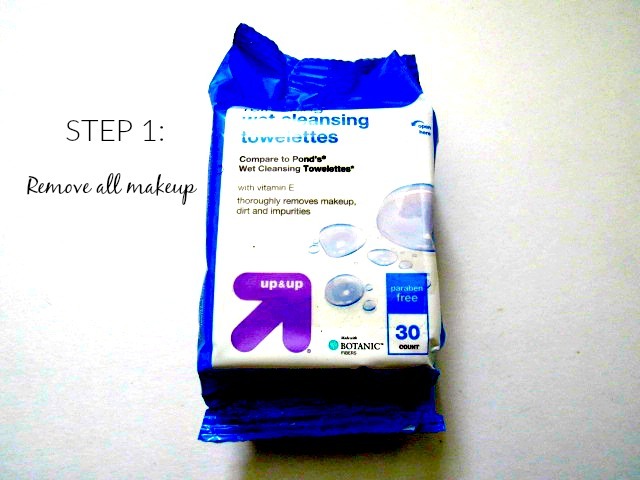 I use whatever makeup wipes I have on hand, 2, even 3 if I need to and remove the makeup, dirt and oil from the day. 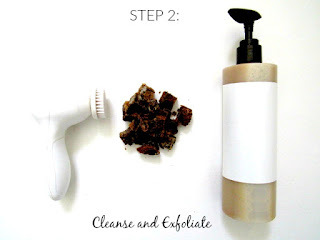 I then wet my face and with a pump or 2 of my homemade Liquid African Black Soap, I massage the product in the my skin with circular motions.While the cleanser is still on my skin, I use my motorized face brush to gently exfoliate my skin. This helps to remove the dirt and unclog you pores. Also, the brush is gentle is enough to be used daily. Once I feel like my sKin has been properly exfoliated (about 2 mins), I rinse my face with luke warm water and pat dry with a towel. 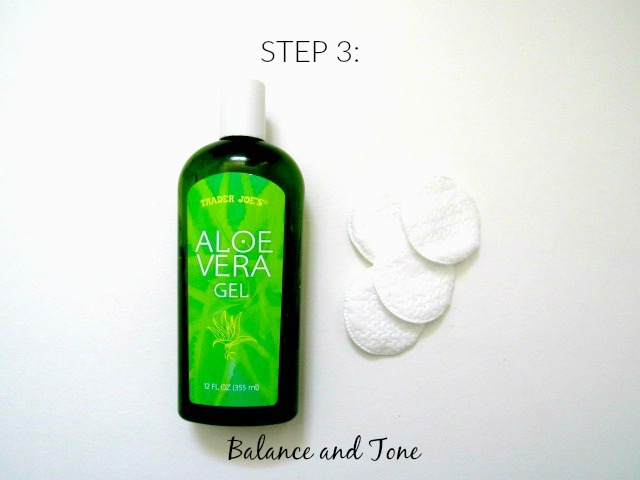 As my toner, I use Aloe Vera Gel on a cotton round and dab that into my face. 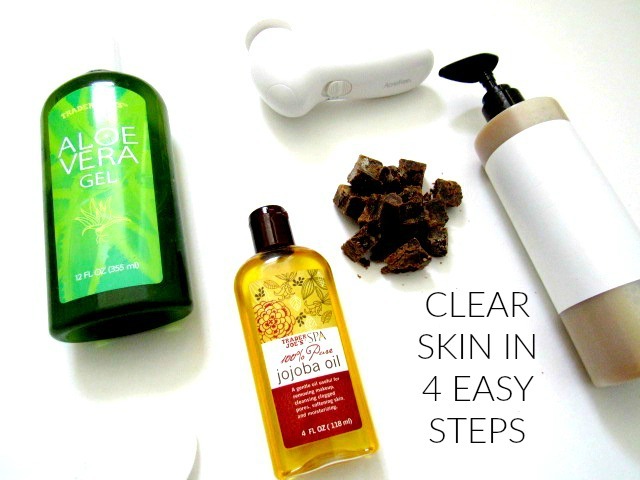 Finally to complete my skincare routine, I grab my 2-3 drops of jojoba oil and massage the product into my skin. I purchased the bulk of these products at Trader Joe's, however, they can be found at Whole Foods as well. The African Black soap is from Whole Foods and costs about $4 per bar. The soap also can be purchased online at coastalscents,com My next skincare post will feature recipes on diy skincare, including the Liquid African Black Soap above, a rosewater and Aloe Vera toner, and Aztec Clay Mask. 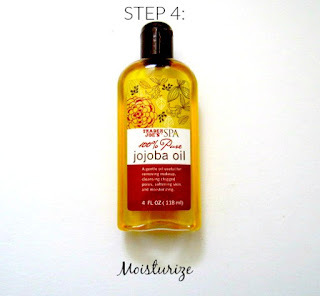 Try this skincare routine our and let me know how it works for you!